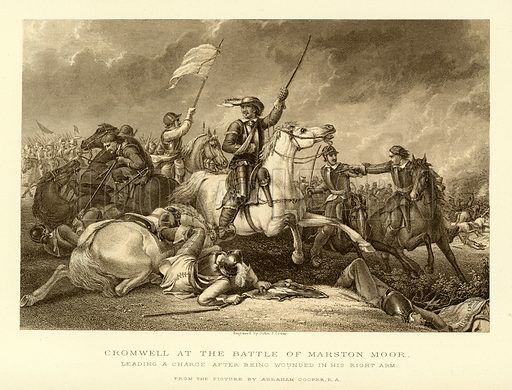 Cromwell at the battle of Marston Moor, leading a charge after being wounded in his right arm. Illustration from The Comprehensive History of England (Gresham Publishing, 1902). Available worldwide for immediate download up to 4,693 x 3,578 pixels.